“We’re seeing a change now where the malicious actors aren’t just hacking networks to steal information; they’re reaching out from the digital world to cause different types of damage,” said Elissa Doroff, vice president, underwriting and product manager, AXA XL, a division of AXA. 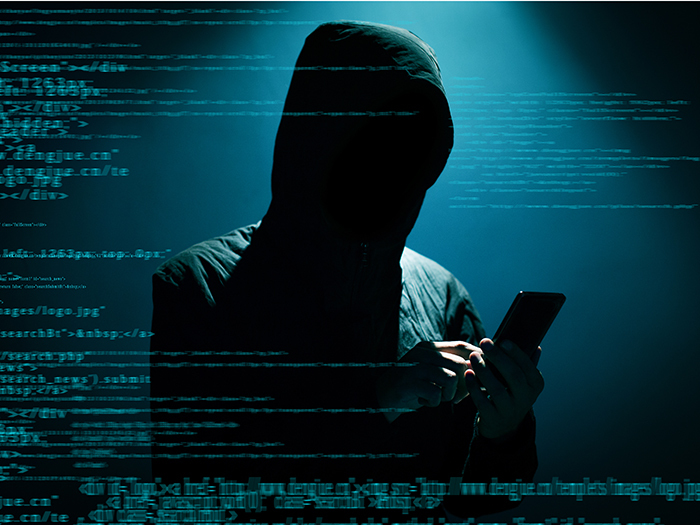 Hackers’ ability to breach a corporate network through various channels is nothing new. But when the intent is to cause physical harm rather than steal data, they can find their way into the industrial controls that operate a facility and wreak havoc. In 2014, cyber criminals sent a German steel mill up in flames by speeding up the machinery until it became too hot and eventually exploded. The following year, bad actors brought down the Ukrainian power grid through similar methods. A property policy responds to the resulting physical damages from such an incident, regardless of the cause. But the physical damages are just one piece of the attack. The targeted organization will also have to investigate how the hackers gained access to their systems and whether they stole or altered any data in the process. The costs of a forensic investigation, restoration of data, notification and any other third-party liability exposures would not be covered under a property policy. Without a cyber policy, any incident of physical property damage caused by a cyber event would only be partially covered. Elissa Doroff Vice President, Underwriting and Product Manager, AXA XL, a division of AXA. When ransomware attacks first emerged, they weren’t significant enough to warrant large-limit cyber liability policies. “On average, the claims didn’t exceed $50,000. You paid the ransom if you needed to. More sophisticated organizations with good backups knew that they would be safe without paying, so they could just wait for the hacker to go away,” Doroff said. But the problem is no longer that easy to solve. The explosion of devices connected via the Internet of Things has created more access points to corporate networks. The rise of bitcoin also drives up the ransom amounts sought by hackers. More thieves are asking for their payment in cryptocurrency, which continues to rise in value. This is why having a cyber insurance policy with access to the right breach response vendors is critical. Since bitcoin is not readily ascertainable on the open market, insureds need access to forensics vendors that maintain a bitcoin wallet. When a ransom is demanded in bitcoin, the vendor can quickly respond to facilitate the transaction and the insured back to business as soon as possible. “Cyber extortion claims are not $50,000 anymore. With the increase in bitcoin’s ubiquity and value, the cost of a ransomware attacks today can double or triple that amount,” Doroff said. Where coverage for cyber extortion was once considered a throw-on to a cyber policy, it’s now a critical must-have. Cyber liability insurance without coverage for extortion could leave targets with insurmountable losses after an attack. Hackers have become adept at mimicking professional emails to request fraudulent transfers of funds, posing as a client or vendor, or sometimes as a senior manager making a request of a subordinate. Often, the employee tricked into sending the cash doesn’t realize the mistake until it’s too late, and both the thief and the money are long gone. “That type of theft has created a gap in the insurance market when it comes to treatment of financial fraud,” Doroff said. A fidelity and crime policy typically would not cover a loss stemming from a social engineering scheme because the funds ultimately were willingly transferred away, even if the employee that did so was deceived. Crime policies may only extend coverage to outright theft of money or securities. “There has been a push in the marketplace to offer coverage for social engineering fraud within cyber policies, but most of the coverage that exists now is offered on a sub-limited basis,” Doroff said. As cyber thieves find new ways to bilk businesses, a cyber policy with coverage for social engineering fraud in combination with a crime and fidelity policy closes the coverage gap for emerging types of theft. Plenty of high-profile breaches demonstrate how a cyber attack can cause the public to lose faith in an organization they trusted with their personal information. Target, Equifax, Yahoo and Uber are just a few examples. “Adverse publicity will cause a loss of brand trust that negatively impacts sales, but measuring that impact is the difficult part of designing coverage,” Doroff said. Quantifying exposure is the barrier to developing coverages that adequately address the reputation risk of cyber breaches — but a few methods are emerging. “We’ll look at a company’s sales over a six-month period after an incident and compare that to the previous year, which provides a snapshot of how much revenue they’ve lost that’s likely attributable to the cyber event,” Doroff said. But, she added, quantifying the loss is not an exact science. Along with a comparison of sales and revenue, a more thorough financial audit conducted by forensic accountants may be needed. Each carrier will have their own preferred method for measuring reputation exposure. Because most cyber policies on the market today don’t address this exposure at all, it’s best to work directly with underwriters up front to determine whether there is coverage for financial losses from reputation damage, and how those losses will be accounted for. While theft of PII has always posed a significant threat to financial institutions, hospitals, and other organizations that house large amounts of customers’ private data, some firms previously less concerned with cyber risk are finding that they may have targets on their backs as well. While a professional liability policy likely covers those legal expenses, it won’t cover the first-party losses related to the breach itself, including the investigation, notification and remediation expenses. For more and more firms, “It’s not sufficient to rely on your E&O coverage,” Doroff said. As cyber risks and responding coverages continue to evolve, companies are best served by working with a carrier at the forefront of cyber underwriting. AXA XL’s cyber and technology liability policy addresses the varying ways in which malicious hackers can infiltrate systems or otherwise cause harm. Along with the policy, companies gain access to AXA XL’s breach preparedness services and vendor response panel.